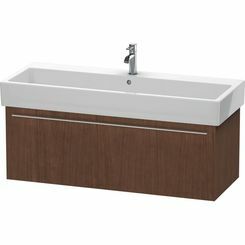 Settle your belongings inside the bathroom with a complete peace of mind and own the Duravit FO9547R1313 Fogo tall cabinet. 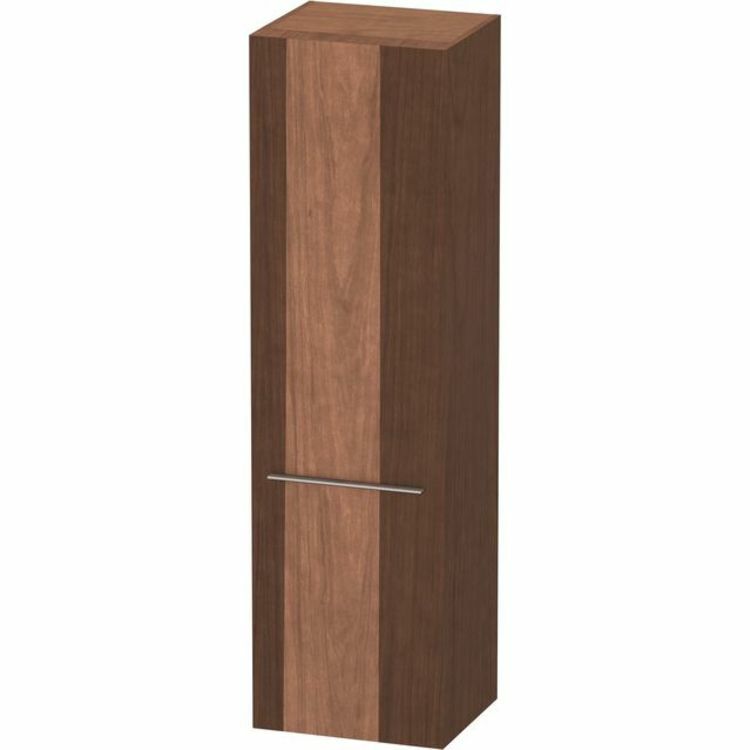 Among other minimalistic finishes, this comes in a American Walnut real wood veneer, a color that is both minimalistic and classy. 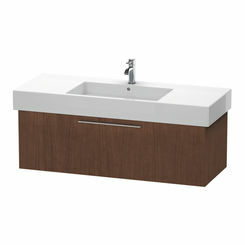 The Duravit FO9547R1313 cabinet comes with the hinges located on the right. 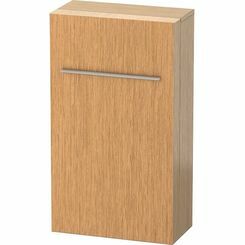 It measures 500 x 420 mm, practically large enough to save space and store more. Divided into three glass shelves, one wooden shelf, and 4 glass shelves with lip in door, this cabinet is made for multiple usage and easy compartmentalization. It is recommended that a minimum of 20 mm of space to the wall should be provided for future plans of extension. Bask in the humbling experience offered by the Duravit Fogo collection. 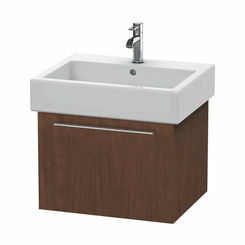 A warm feeling is being invited by the sophisticated structures of the bathroom fixtures under this collection. This is a brain-child of the brilliant minds under Duravit, a company continuously rising in the ceramics and plumbing industry for more than 200 years. 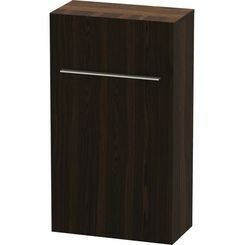 If what you need is what Duravit can offer, don't even think twice and buy this Duravit FO9547R1313 Fogo tall cabinet. 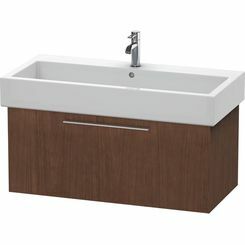 Look nowhere else because we have it here at PlumbersStock.com.